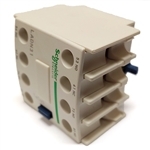 TeSys LRD21 differential thermal overload relay. 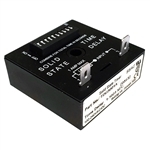 Note: Marathon 03-0256 Solid State Timer TDU3001A. 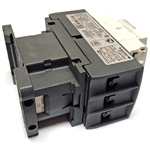 AB Bulletin 595-A Auxiliary Contact 1NO for NEMA sizes 0-5 TeSys LRD32 differenial thermal overload relay. 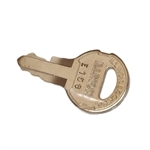 Telemecanique XCKD2145N12 is a Rotary, with Adjustable Roller Lever, General Purpose Limit Switch. 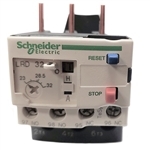 Schneider Electric LC1D32G7 3 Pole (3 NO) Contactor. 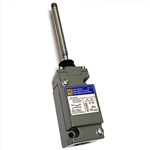 Telemecanique ZCKL1H7 is a metal limit switch body, suitable for use with ZCKD-series actuator heads. 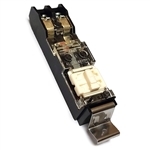 This switch has a 1/2 NPT cable gland for connection to system wiring. The body has double-pole 1 normally closed (NC) + 1 normally open (NO) snap action contacts. 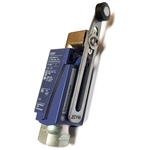 Hold Down Kit - 10 Dogs with Hardware Square D by Schneider Electric 9007C54KC Heavy Duty Limit Switch with Multi-directional Movement Coil Spring Wobble Stick Actuator.